Save time and money no matter what you send, from letters and packages to overnights and flats. Get the rate that is best for you. 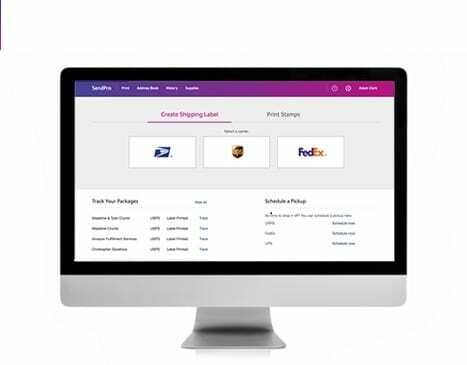 Easily compare USPS®, FedEx® and UPS®options in one interface. Easily track the status of shipments, deliveries and spend across multiple departments. 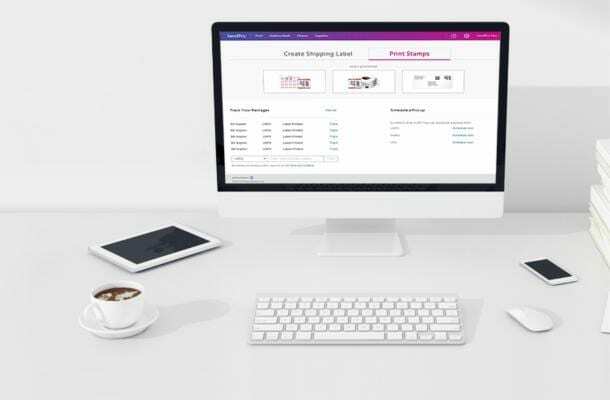 Compare options and print postage with three major carriers from one screen, reducing trips to the post office and putting the focus back on business. Easily monitor your postage spend right from your account, as well as, track deliveries in the same interface. Optimize processes with access to integrated apps and features. Streamlined interface that lets you choose USPS®, FedEx® and UPS® shipping options. *Postage, supplies and carrier charges apply. Unless you cancel during the 90-day trial, monthly charges will apply. 1Savings based on packages 5 lbs. sent priority mail commercial rates vs. retail rates in zones 1 and 2. Rates may vary in other zones. Discounts with USPS Priority Mail vary with weight and distance, as determined by the USPS.